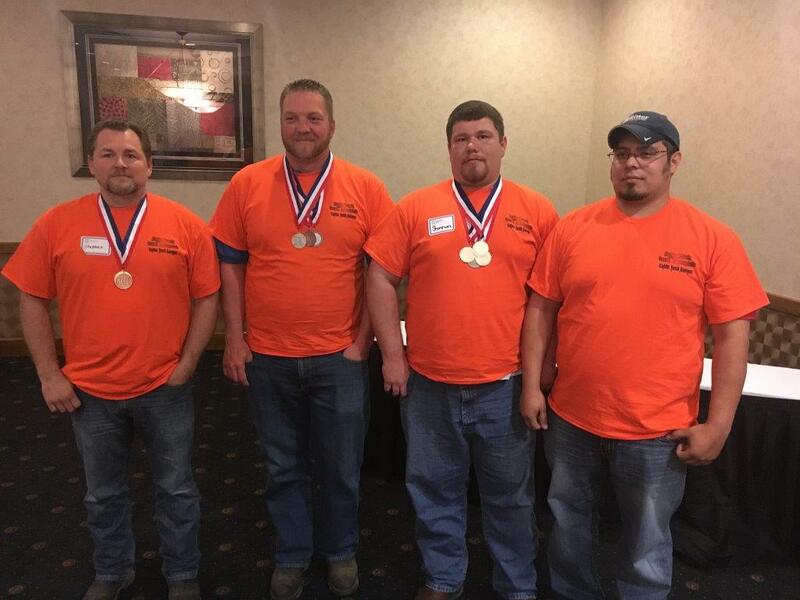 (JONESBORO, AR) - Ritter Communications recently won first place overall in the team competition and three employees earned individual awards at the state-wide Society of Cable Telecommunications Engineers (SCTE) Cable Games in North Little Rock. Ritter technician Shannon Cameron took first place in the overall individual competition. He also finished first in fiber splicing, first in Metallic Time Domain Reflectometer and second in the drop connector category. Ritter’s Stephen Williamson was first in Optical Time Domain Reflectometer and finished third in the overall individual category. Rickey Holt placed second in both meter reading and cable Jeopardy and was third in drop connector. Local Cable-Tec Games provide an arena for cable telecommunications professionals to compete in events that measure their technical abilities such as cable splicing and meter reading. The also give technicians an opportunity to demonstrate their knowledge in categories like cable jeopardy.